Located at Rooksmoor on the A46 oposite The Old Fleece pub. The last use of the building was a retail unit for bamboo furniture and other quirky household items. 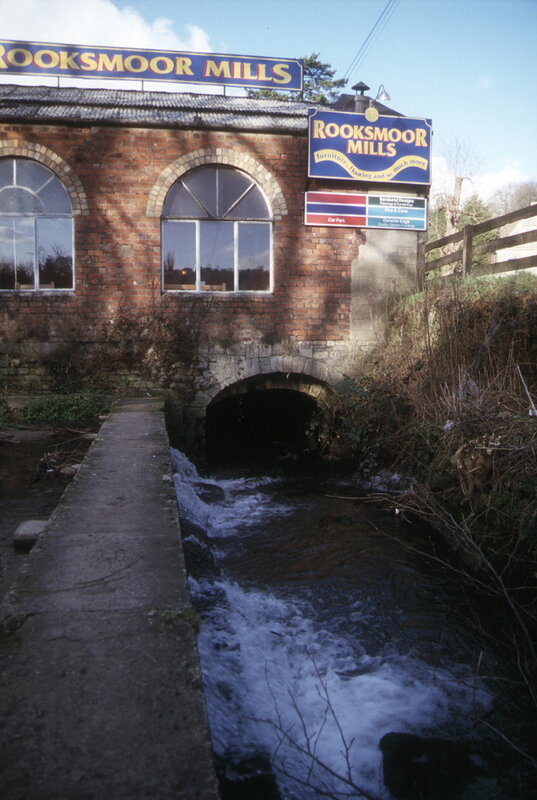 The river is diverted alongside the front of the building and into the wheelhouse tunnel at the side near the road. 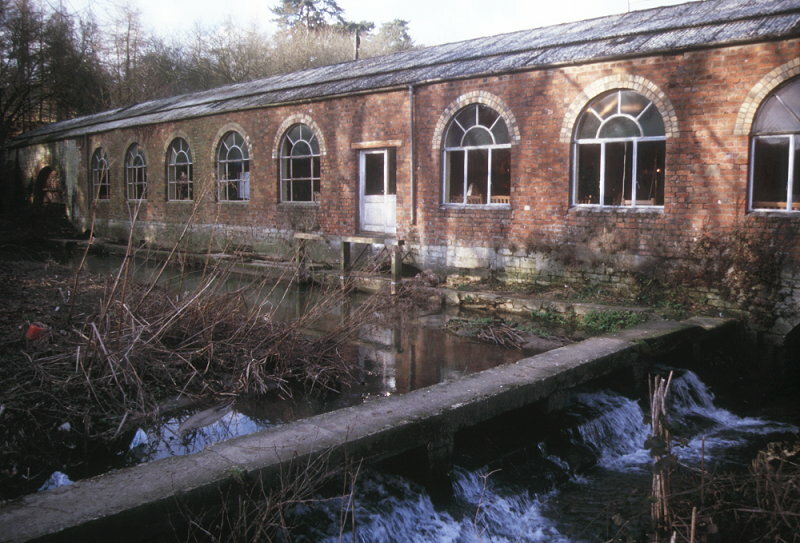 I imagine the river once fed into a mill pond in front of the building that has since been in filled with the river now running towards the building on the cycle track side (the old railway line) of it. Records first list the mill in 1729 as a cloth mill and I think the old original mill was probably behind this red brick building and has long gone. The first two photographs were taken in January 2001 while it was in use as the retail unit. 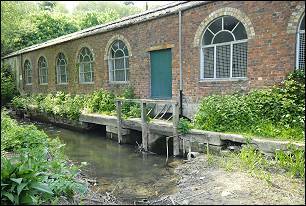 The following photographs show the building as it is in the summer of 2008. 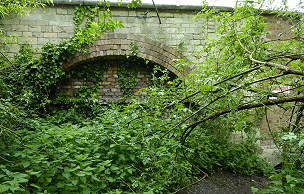 The last photograph shows a filled in arch on the cycle track side of the building. ‘Hybrid’ planning application. Full planning permission for 54 residential units, reinstatement of millpond, construction new access and associated car parking and landscaping. Refurbishment of cottage building. 1,300sqm of commercial floorspace (uses within Classes B1, B2, B8) – (Revised Plans received 28/02/2017).